AI and overall gameplay performace were the main focus. Total War: Rome 2’s third major patch will be arriving soon on PC, continuing to boost game performance and debug the AI glitches. The list is pretty extensive, with developer Creative Assembly putting much of their man power into making the game run as smooth as possible. Additionally, the AI issues have been one of main focuses this time around, along with other areas like multiplayer and the online campaign speed being vamped up slightly. These areas were addressed due to the string of complains since the launch of the game earlier this month. As of today, Patch #3 is still currently in beta form, allowing players to test out the lasted tweaks before it goes live. To access the beta patch on Steam, simply go into the Properties menu to apply it to your game. Creative Assembly is in the final stages of adding the patch officially, so we should be seeing it up in the next few days. Frame Rate improvements on Campaign map on low spec Core2 Duo cpu’s in windowed mode. Fix for minor stutters & terrain rendering glitches on some gpu’s when rendering the terrain. When the player is attacked whilst in a minor settlement (not provincial capital), a new “Sally Forth” button is available on the pre-battle panel to fight the attackers in an open field battle. AI controlled Agents are now more likely to act upon the player’s settlements instead of standing around outside of them. Units that charge while in formation (e.g. block formation) stop sooner on contact with the enemy, to reduce “blobbing” where units converge into a disorganised brawl. Improved multiplayer compatibility between players who own the Greek States DLC and those who don’t. In Multiplayer Ambush Battles, if Player 1 clicks the “Start Battle” button, and the Player 2 waits for the timer to run out for the battle to start, Player 2 will no longer be locked into Cinematic Mode with limited user interface controls. The achievements “Noble Master”, “Spymaster” and “Champion of the Gods” now unlock sooner after their requirements have been met. The warning message that informs the player that they are not researching any technology when they press the “End Turn” button in Single Player Campaigns is now also displayed in Multiplayer Campaigns. Fix for user interface bug showing the wrong tax level on the Province Details panel when the “Tax province” button was ticked in Campaign modes. Culture conversion coming from some characters now correctly shows up as “character” in the culture tooltip, no longer as “building”. The “Reduces slave population decline” icon in the information panel when placing the mouse over the “Slave Trader” in the Commons buildings section in Campaign modes is now displayed as green instead of red (as it’s a positive affect). The first building in the equipment chain (E.g. Workshop for Hellenic, Quartermaster for Eastern etc.) can no longer be bypassed by converting from another faction’s equipment chain without researching. Clicking the “Square” special ability as a unit is attempting to man a siege tower will no longer stick the siege tower to that unit in battles. In Campaign mode, Roman “Basilica of X” temples have now been renamed to “Precinct of X”. Tooltip regarding the “Armoured Siege Units” technology bonus effects on pre-siege vehicles (all variants of Galleries, Siege Towers, Ladders and Battering Rams) is now clearer. Battlefield Advisor will no longer say “Our enemy have lost a victory point”. Fix for the Battlefield Advisor sometimes referring to the players own reinforcements as “Enemy Reinforcements” during battles. Fixed typo on ‘Conscription’ edict in English. Added French, Italian, German and Spanish localisation to the word “Settlement” in the Agent Action Panel in Campaign modes. 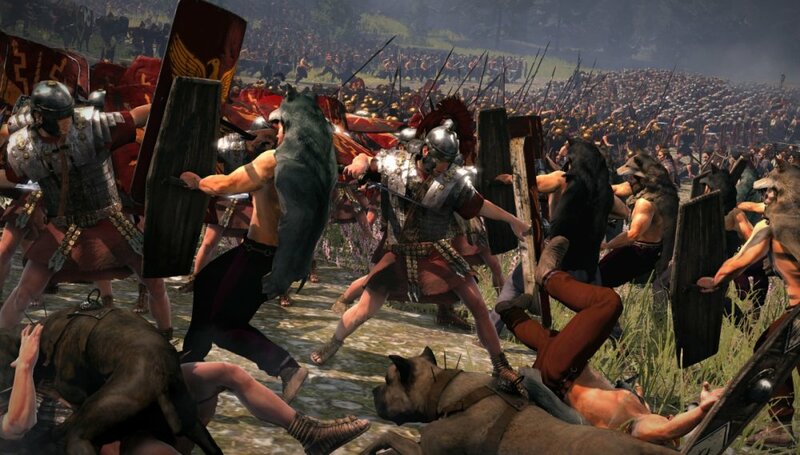 Total War: Rome 2 has a 2-player online co-op mode and is available only on PC.